Someday we’ll all look back on the notion of cable and wire-actuated bicycle shifting as a cute relic of the past. Gone will be the myriad frame holes (and internal routing headaches), replaced by clean looking bike frames that are easy to set-up even for lesser skilled home mechanics. Truth is, we’re already on our way to this two-wheeled utopia thanks in large part to SRAM and its Red eTap wireless electronic drivetrain. Instead of the four-button system found on other e-groups, eTap utilizes a two-paddle shifting system similar to that found in F1 race cars. With its launch a few years back, arguably the most complex system on the bicycle became a fairly straightforward affair. Simply affix the various components in place, wirelessly pair them, and off you go. It’d likely take longer to strip off the old cables than to install eTap. The biggest hurdle is making sure the rear derailleur hanger is straight, meaning there ought to be no hurdles at all. Look mom, no wires and fewer cables. Ain’t she clean and pretty. 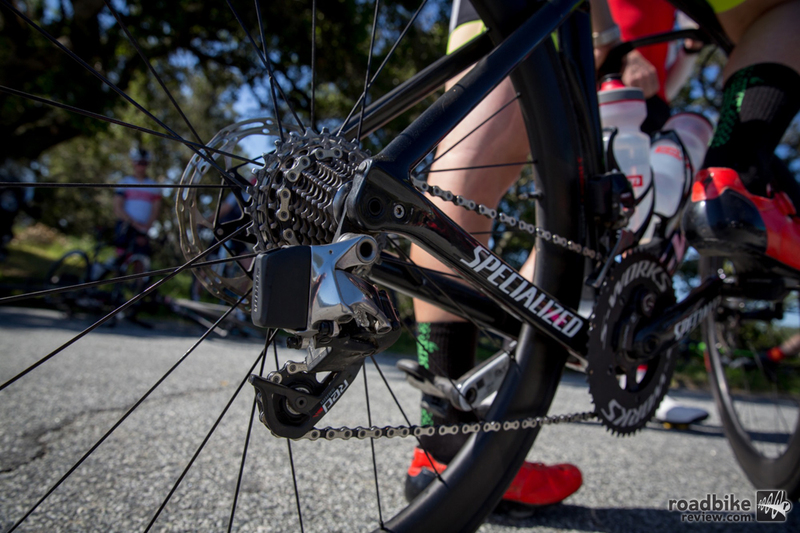 SRAM eTap may also forever change the way we shift our bikes. 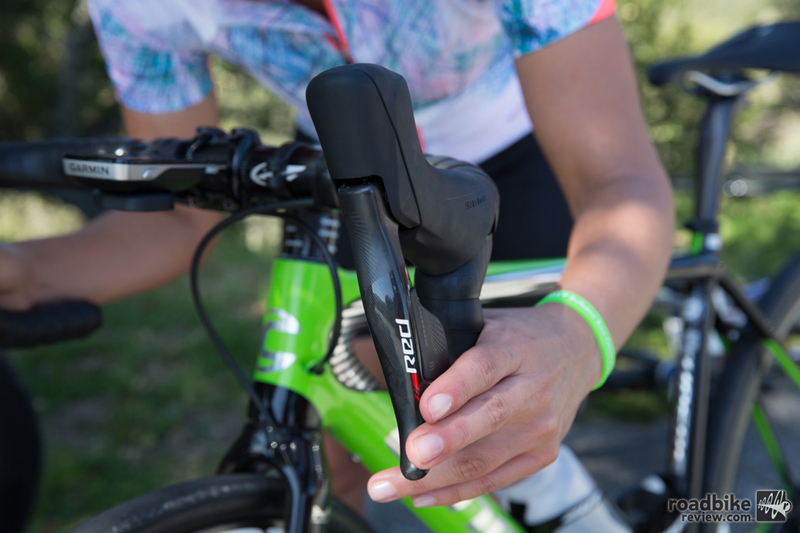 Taking its cue from the paddle shifters found in Formula 1 race cars, eTap utilizes three basic motions to change your bike’s gears. Click the right shift paddle for a smaller rear cog (harder gear). Click the left paddle for a larger rear cog (easier gear). Click both paddles at the same time to cue the front derailleur to shift the chain between chainrings. And forget about interference concerns. SRAM’s wireless algorithm encryption is more secure than your bank’s ATM. 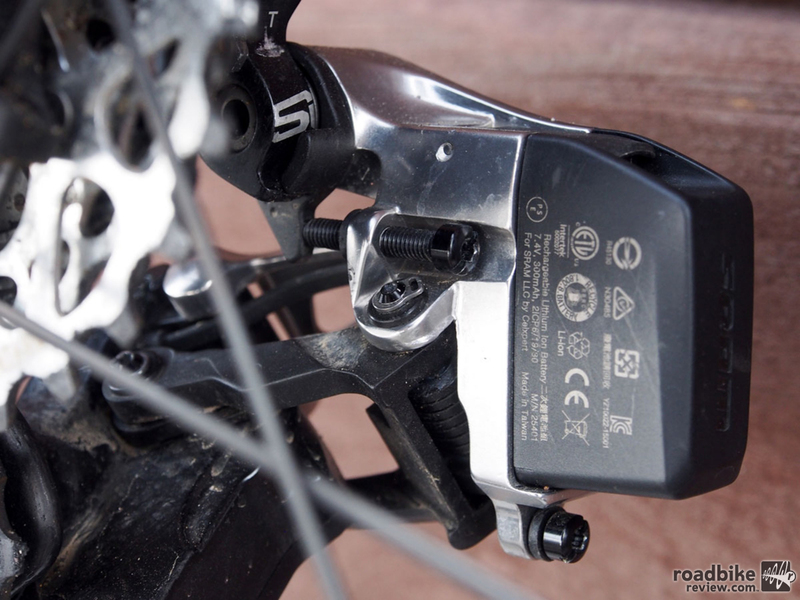 The front and rear derailleurs are powered by a pair of click-on rechargeable batteries. The entire system is driven by a quartet of batteries, one in each shifter (which will last about two years), plus larger clip-on batteries on the front and rear derailleur that SRAM claims deliver 90 and 60 hours of ride time respectively before the need for recharge, which takes about an hour. 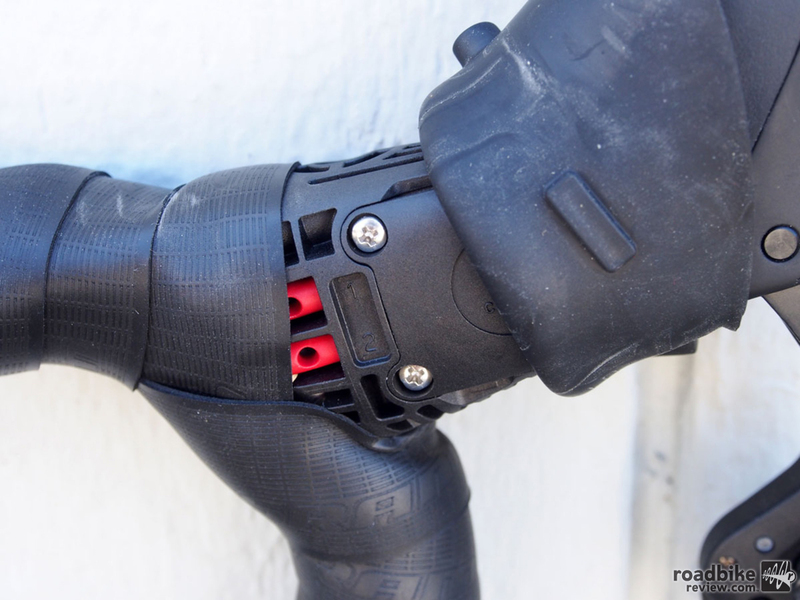 Add in rim and now disc brake options, comfortable ergonomics, and the ability to install remote shifters just about anywhere on your handlebars, and it is clear why SRAM eTap has been roundly hailed as one of the most important new component technologies to hit cycling in years. 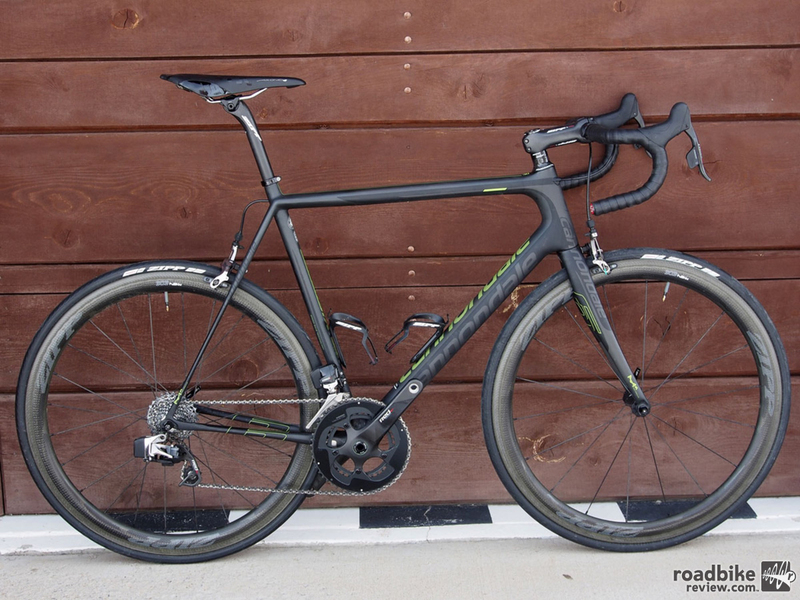 Press play to see the system in action, and scroll down for the full RoadBikeReview review. You can place the Blips buttons wherever you like. Pictured here is a great set-up for climbing. If I were building a bike from scratch and had an unlimited budget, there is no doubt which drivetrain I would choose. 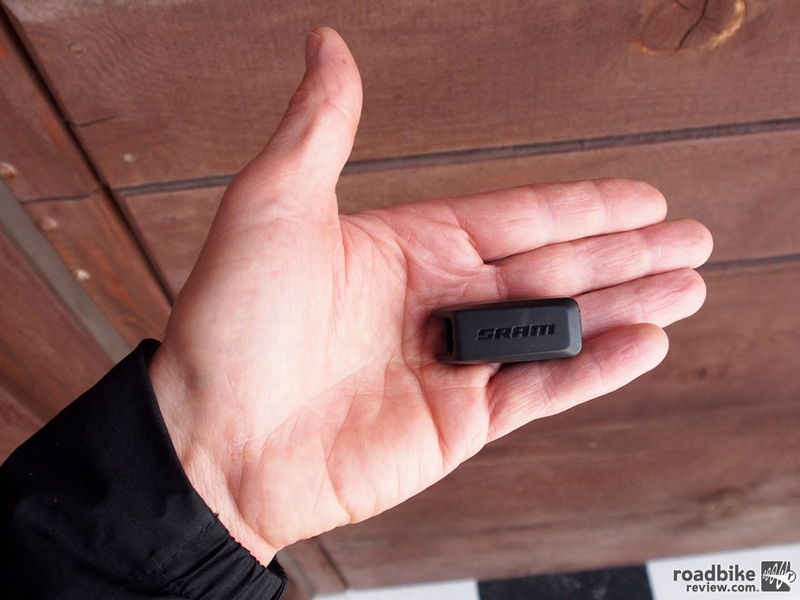 While by no means perfect, SRAM’s Red eTap wireless electronic system (to me, at least) represents a natural, and arguably long overdue, progression in bicycle component technology. Seriously, just look around the world we live in. Wireless internet, smartphones, TV remotes, the list goes on. Wired devices are so last century. 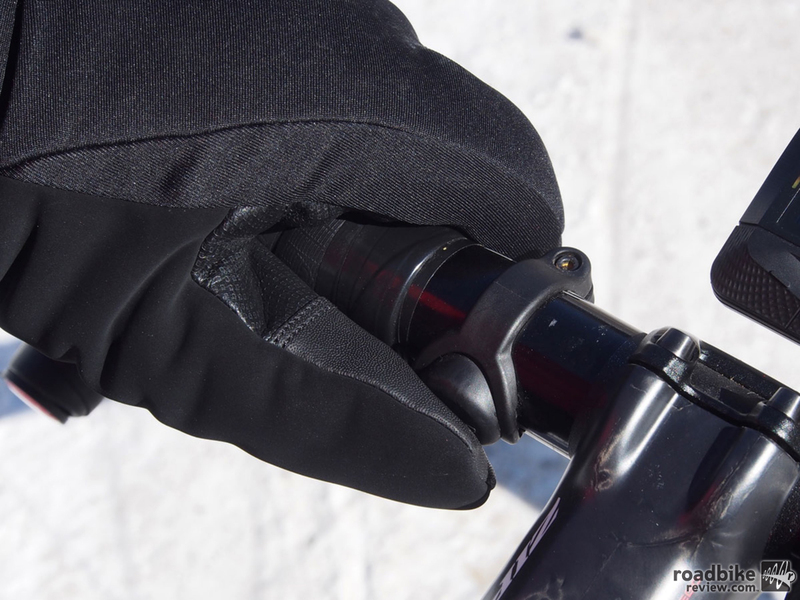 The large Blips buttons are great for winter riding when the gloves are on. Same goes for bike frames full of holes, though we’re not quite there just yet. But even with the blight of all those unused internal ports, bikes equipped with eTap just look better, cleaner, and more refined. Gone are the cables or wires that connect shifter to derailleur, replaced by an unseen proprietary 128-bit encryption system called Airea that literally communicates its rider’s intentions through thin air. It’s also a huge time saver. Figure it would take about two hours to build up a fully prepped frame with a mechanical or wired electronic drivetrain, but that time would be cut in half doing a wireless set-up. Maybe someday we can get rid of the brake cables, too. Of course none of the aesthetic gains mean much if the system doesn’t perform well. But in several months of testing in all kinds of weather and temperature ranges, we had exactly zero issues. Sure there’s a small learning curve with the eTap shifting pattern. But for most it takes about five minutes to get it straight. Then you start wondering how you’ll ever go back, knowing misshifts are all but impossible. And for riders new to the sport, it’s easier grasp, requiring less thought than a mechanical set-up or four-button electronic system such as what current Shimano Di2 uses. Remote Blips shifters connect to the system via wires that plug in behind the shift lever. Add in the ability to affix remote shifter buttons (called Blips) almost anywhere on your handlebars, and the package becomes that much more attractive. 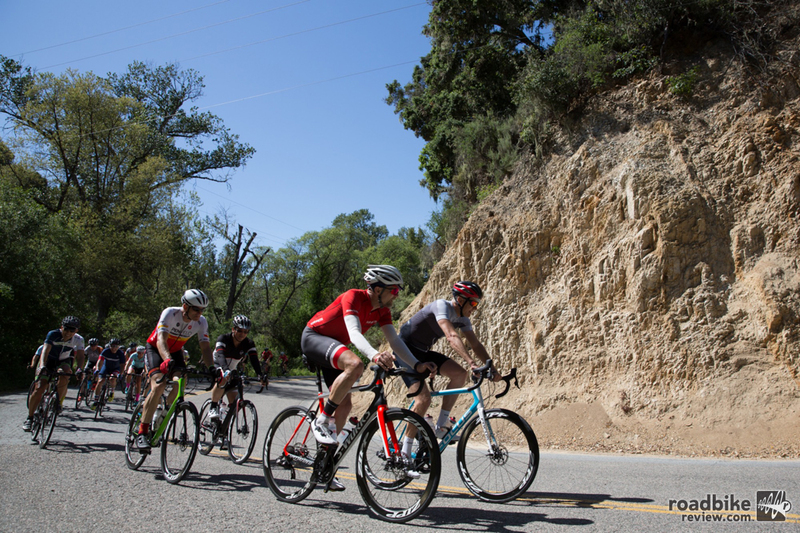 Our eTap-equipped test bike, a Cannondale SuperSix Evo, had a pair of Blips attached on the tops, making it easy to switch gears while climbing. 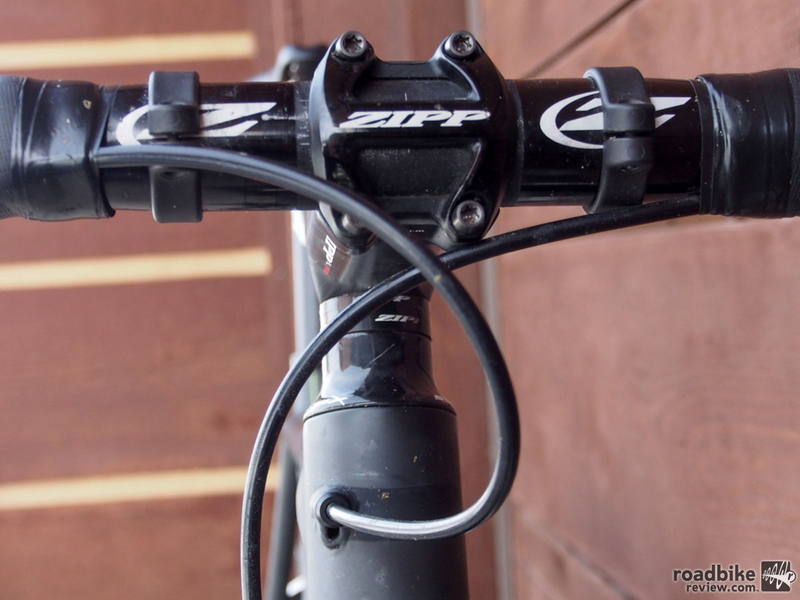 You can set-up sprint shifters in much the same way. Admittedly the Blips buttons are a bit chunky at about 2cm in diameter, and they require slightly more force than the Shimano counterparts. 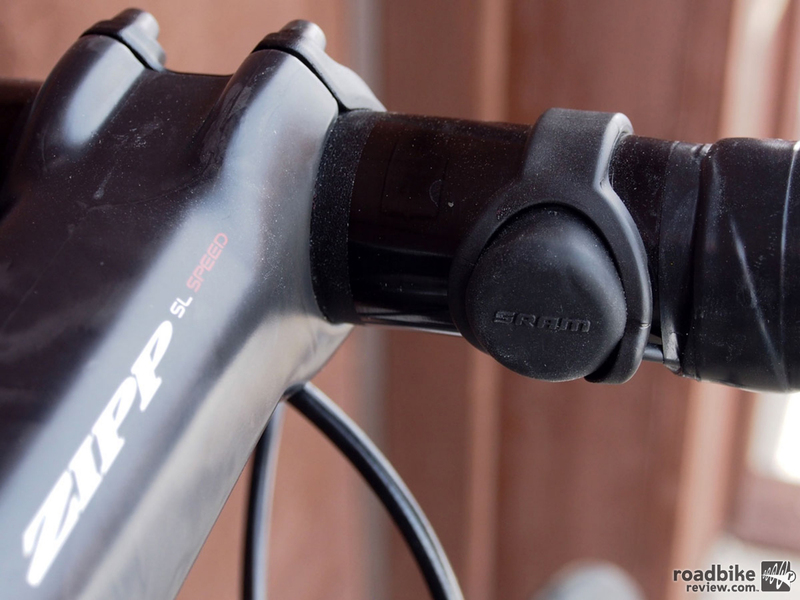 SRAM offers four lengths of Blips wires (no, the system is not completely wireless), and each Blip plugs into a port in the back of the shifter under the brake hood, and can then be routed under the bar tape to wherever you want it. And don’t worry, you can’t feel the wire under your bar tape. 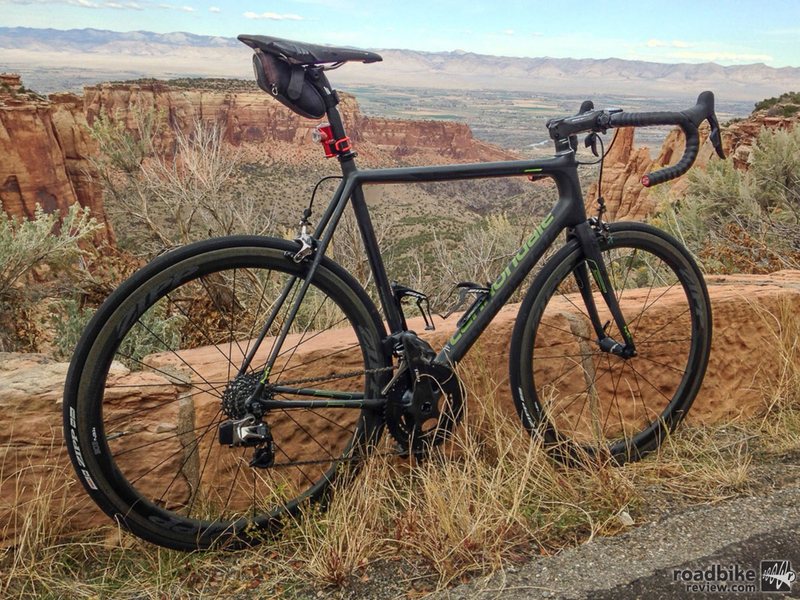 Out in the wild testing SRAM Red eTap at Colorado National Monument near Grand Junction. 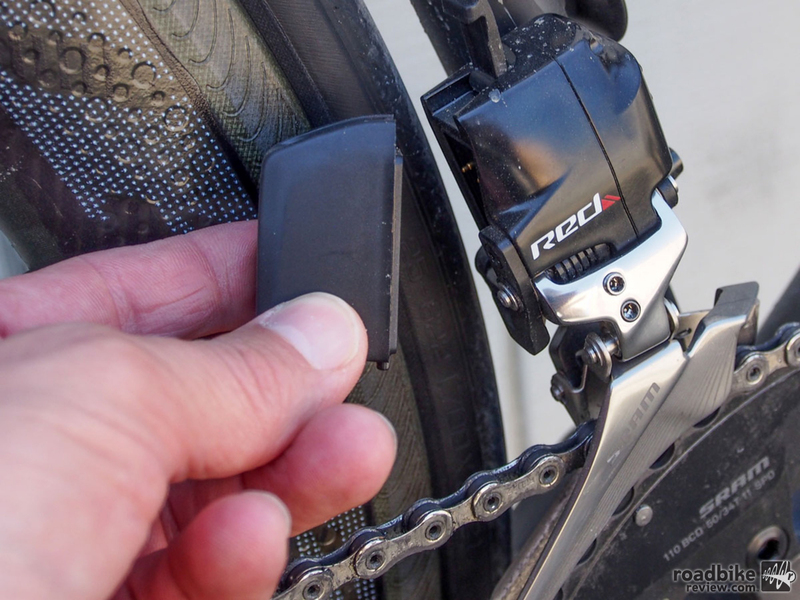 Other eTap highlights include the audible click that accompanies each shift, which is much preferred over the more vague feel and subtle sound you get from Shimano Di2. However, Shimano wins back points for shift speed, which is noticeably quicker than eTap. 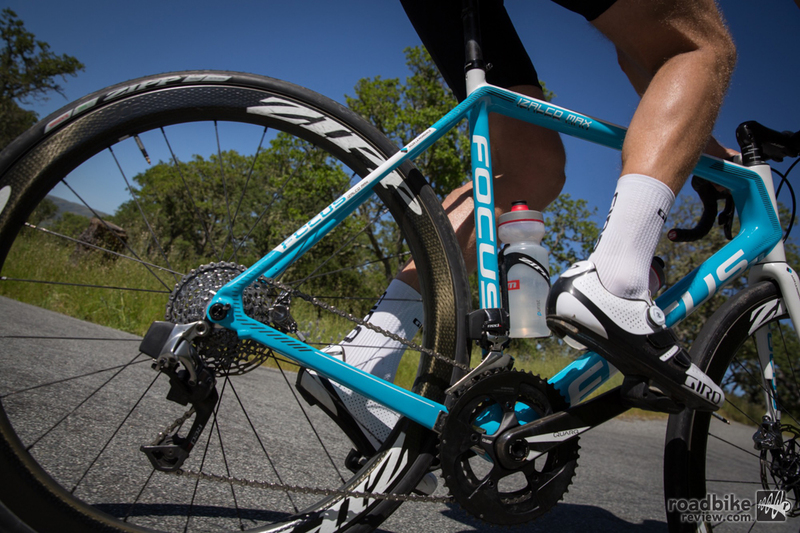 Just like with Di2, eTap allows you to dump numerous gears by holding down the paddle. But it doesn’t happen as quickly. It’s unlikely this will impact user experience on the road. But now that SRAM is offering a hydro disc e-option (as Shimano does), it’s conceivable eTap could make its way onto cyclocross race bikes where rapid shift speed becomes more important. 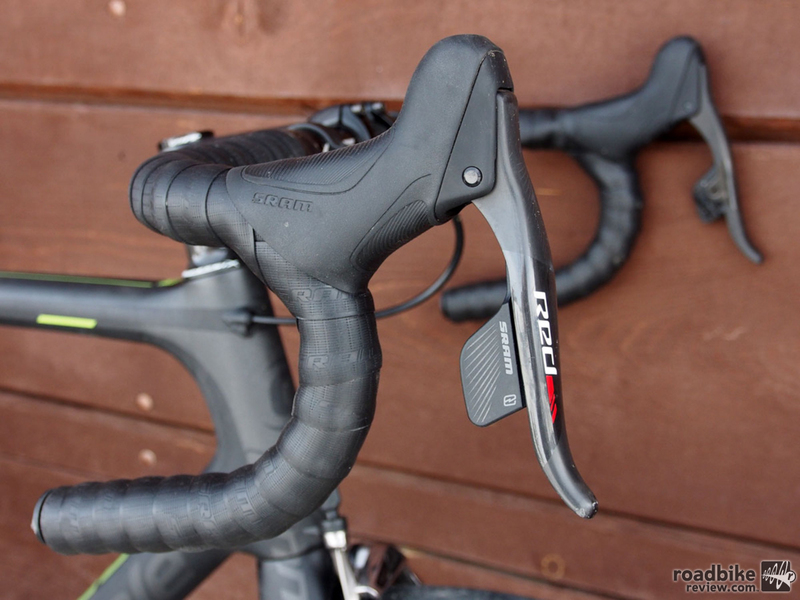 I also prefer the ergonomics and tactile feel of the SRAM hoods, which just feel more comfortable and natural than competitor offerings. 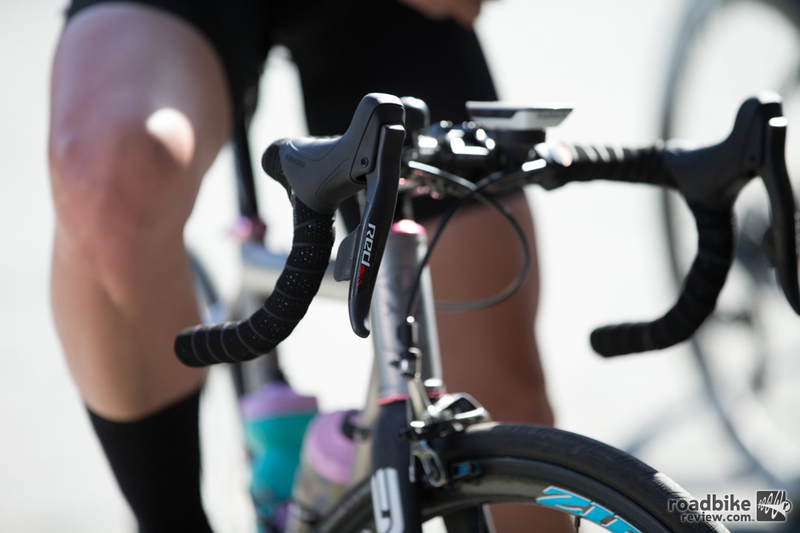 The eTap system also carries forward SRAM’s true 22 concept, meaning you can cross chain without issue. In fact, both derailleurs have built-in auto trim function, all but eliminating chain rub even if you end up in a 39×11 combo. 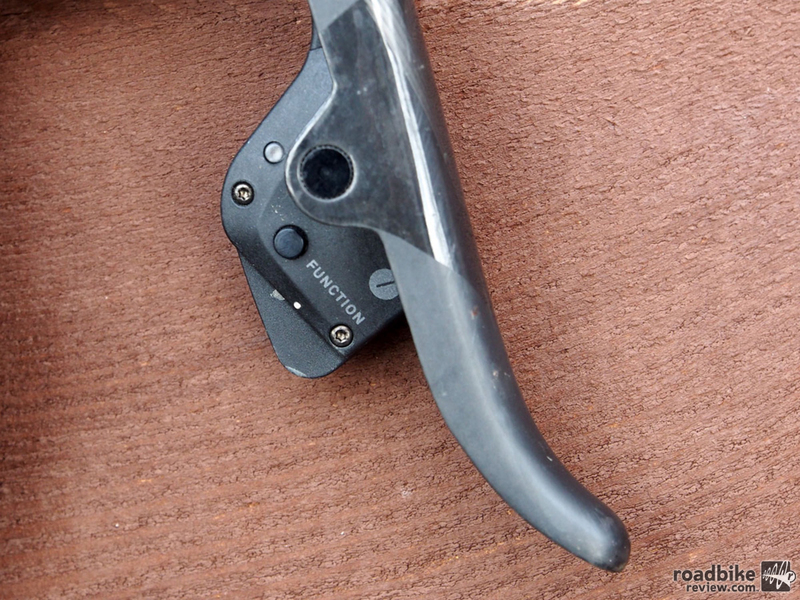 Both the front and rear derailleur have an auto-trim function to alleviate chain rub. Of course nothing is perfect. The Blips buttons are harder to depress than the Shimano counterparts, and SRAM crank design issues remain. Instead of being able to swap between compact and standard rings based on terrain or fitness level, you have to invest in a completely new crank set. 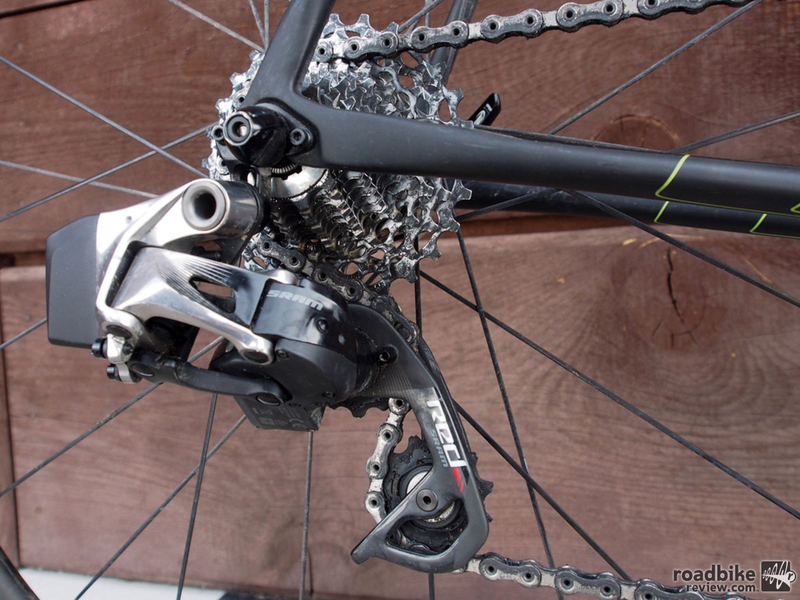 And not surprisingly the groupset is far from inexpensive, coming in at an eye-watering $2758. 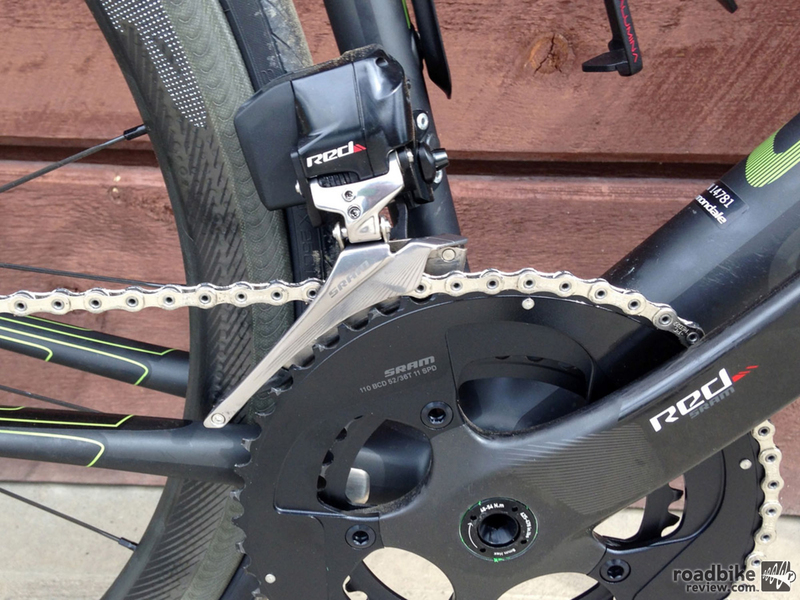 But presumably SRAM will follow the recent roll-out of a disc option with some more budget priced alternatives. 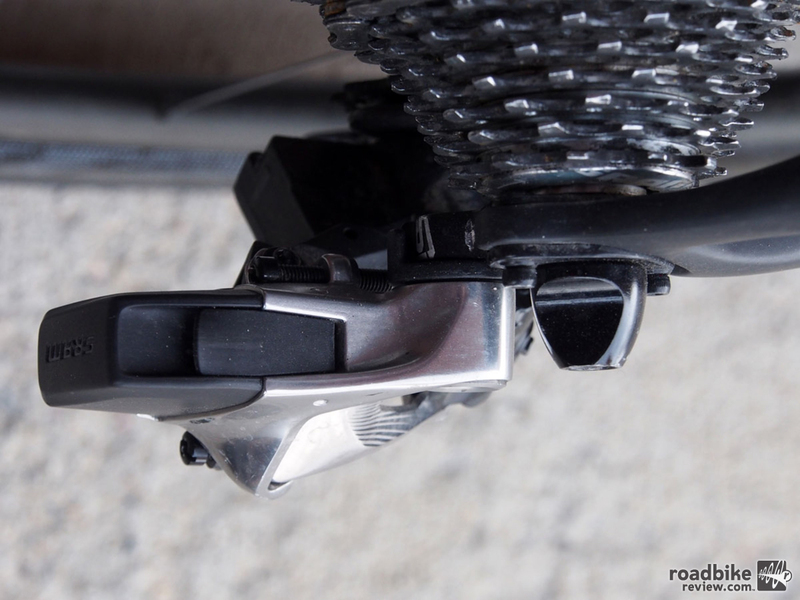 We’d also love to see a 1x set-up and the addition of customized shifting options, which Shimano already has. But these are all nitpicky complaints that will very likely be addressed in subsequent iterations. Bottom line, in the years to come it’s easy to imagine a time when cables and wires are completely eliminated from the cycling experience, and we’ll all have SRAM to thank for helping us get there. Brake hood ergonomics and tactile feel are the best we’ve tested, very comfortable and secure. The batteries are that big. 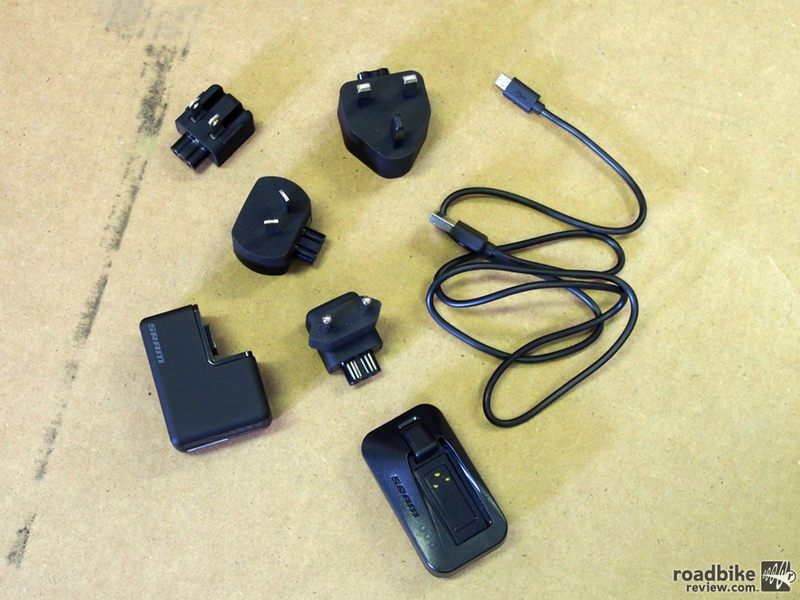 The eTap package comes with a variety charging plugs should you plan an overseas cycling excursion. 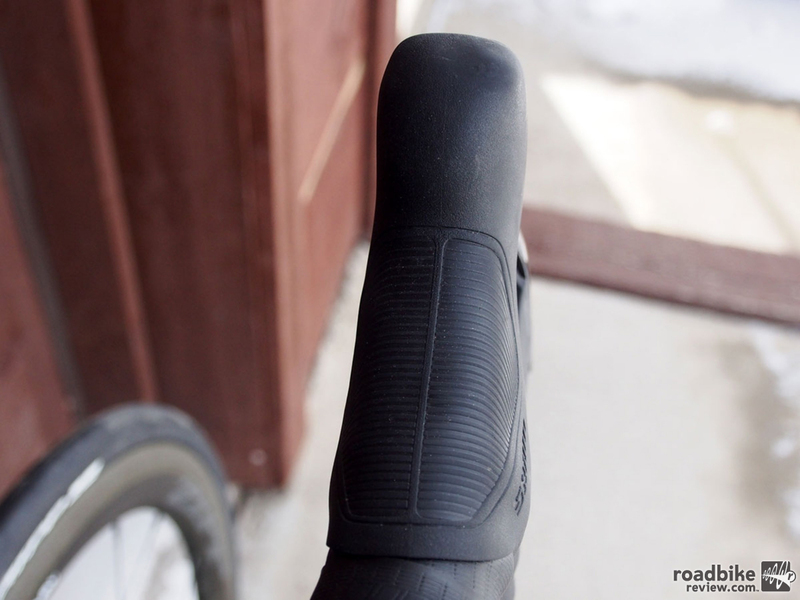 Pairing is activated using the function button on the inside of the shift lever. It’s a very simple process. You can place the Blips buttons wherever you like. This is a great set-up for climbing. Shifting during our test was crisp and precise, though definitely a tad slower than competitor e-drivetrains. Similar to a standard mechanical rear derailleur a B-adjustment screw is used to set the correct B gap. 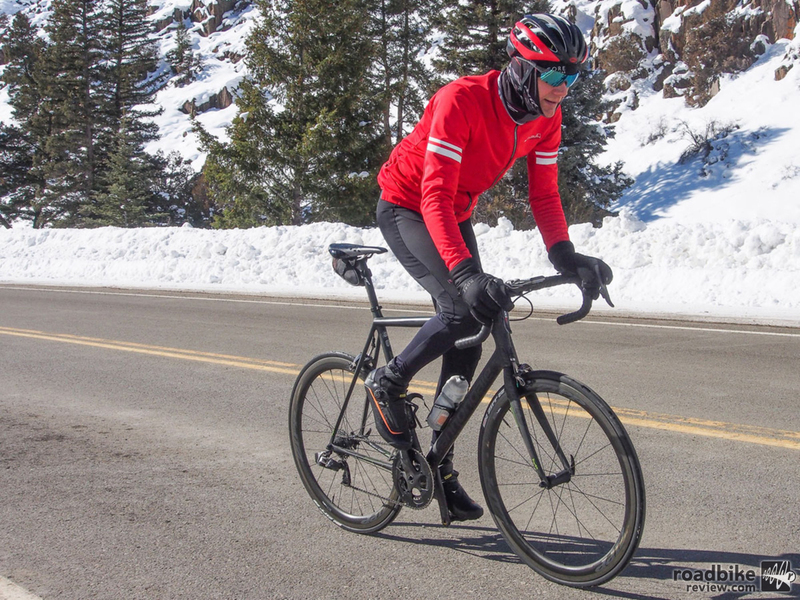 With no cables to worry about, the grime of winter riding was not a threat to shifting performance. 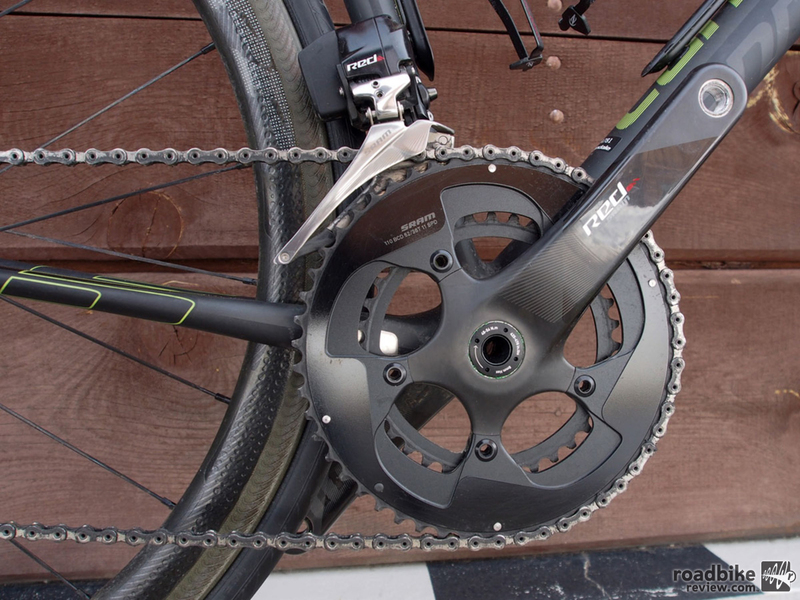 This mid-compact 52-36 chainring was ideal for our mountainous test locale. If they made a X1, needing 2 batteries and simplify the whole thing,lowering price,would be better.I think it’s SRAM who has been pushing X1,so don’t know why they don’t offer. Hopefully the Chinese come out with some reasonably priced copies,so they make sense for those with bikes not worth $thousands. Exchanging cables for batteries is replacing the devil you know with the devil you don’t know. each brings advantages and disadvantages. I see no reason to paint one solution as the future and one of the past. The derailleur batteries are the workhorses and they’re rechargeable. The shifter batteries are just signal transmitters, so the CR2032s are up to the task. I demoed it on our regional rep’s personal bike. It is sublime. It is easier to learn than Di2. And there are no physical connectivity issues. I don’t get excited about bike technology, but if I did this is what I’d buy.